Newt Gingrich is a conservative visionary. Democrats controlled the House of Representatives for 40 consecutive years. Mr. Gingrich came up with a campaign idea called the Contract with America which would empower voters. Voters liked it and put Republicans in control of the House for a dozen years beginning in 1994. Gingrich and his fellow Republicans produced remarkable results by reducing government spending and balancing the budget. 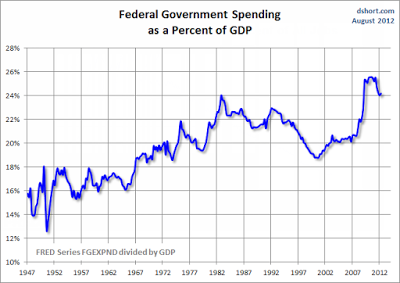 As you can see in the chart above, federal spending as a percentage of GDP began to plummet when Gingrich became speaker. It began to climb again when he resigned from the Speakership in 1998. When Nancy Pelosi became Speaker in 2008 with a Democratic President and Senate, spending exploded at unprecedented rates. When John Boehner became Speaker in 2011, spending once again began to moderate, despite Republicans controlling only one house of Congress. John Boehner is a good man with a credible track record, but he’s no Newt Gingrich. So, here is the question: who should replace John Boehner now that he is stepping down as Speaker? How about Newt Gingrich? This is the brilliant idea of the National Review Online’s, Jonah Goldberg. There is nothing in the Constitution that says the speaker must be an elected member of the House. The House could pick anyone from Carrot Top to Oprah as speaker. Those options don’t make any sense (though Oprah would probably place some wonderful gifts under members’ seats). But there is one nonmember who might bring the skills the moment requires: Newt Gingrich. Gingrich was the architect of the “Contract with America.” He led Republicans to the first congressional majority in 40 years. 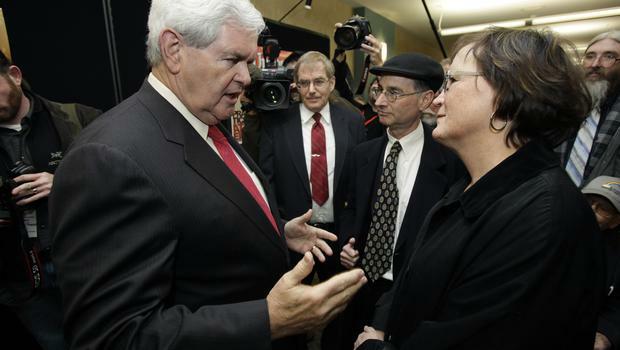 His speakership was not without faults, but Gingrich has matured. At 72, he is literally an elder statesman of the party and still one of its most gifted communicators. He also happened to be, for a while, the first choice for president in 2012 among many of the same people who wanted Boehner’s head. He knows how backbench firebrands think, because he was one himself. More important, he’s got an encyclopedic grasp of the institution’s power and limitations. Look at the chart above. Newt knows how to get results. He might be the perfect caretaker for the Speakership until the next election. He’s got my vote. Thanks to Jonah Goldberg for his own visionary idea.